The Harley Clarke Mansion. Preservation Commission members will submit a finalized denial of the city’s certificate of appropriation application to City Council on Wednesday. The Evanston Preservation Commission reviewed and approved findings for the preservation of Harley Clarke Mansion at Tuesday’s meeting, following their unanimous denial of the city’s application for demolition last month. 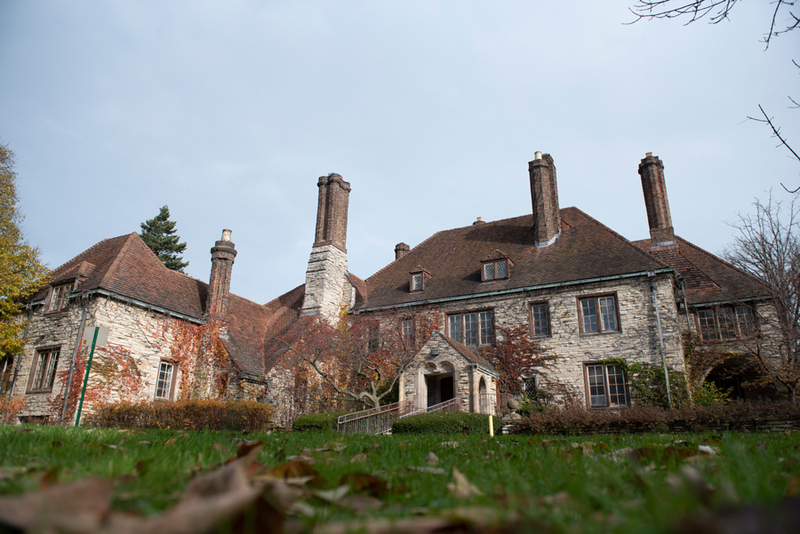 The Harley Clarke Mansion is located on the lakefront in north Evanston and has been a source of debate in the city since 2015, when the Evanston Arts Center vacated the building. Since then, residents and city officials have been discussing possible renovation and restructuring of the facility, as well as options for demolition. In July, City Council voted 5-3 to move forward with demolition of the mansion. In October, commissioners were allowed to inspect the mansion’s interior before unanimously denying the city’s application to demolish the mansion. This decision was corroborated by the referendum last week in which 80 percent of Evanston residents voted to preserve the mansion. Commission member Carlos Ruiz presented an updated Certificate of Appropriateness for the Demolition of the Harley Clarke Mansion to eight members of the 11-member commission. The document included transcripts of comments that had been made to the commission at its previous meeting, where 35 expert architects and historians, as well as Evanston residents, had urged the commission to deny the application for the certificate of appropriation application, as well as specific examples of why Harley Clarke does not meet demolition requirements. The commission ended the meeting by approving the document — with the caveat that it would be reviewed and edited again in the morning by a few members of the commission before being submitted to the City Council by 5 p.m. Wednesday. Evanston resident Lori Keenan spoke at the meeting, where she expressed her satisfaction that the commission was denying the City’s application for demolition, but added that she was worried about the hasty approval.